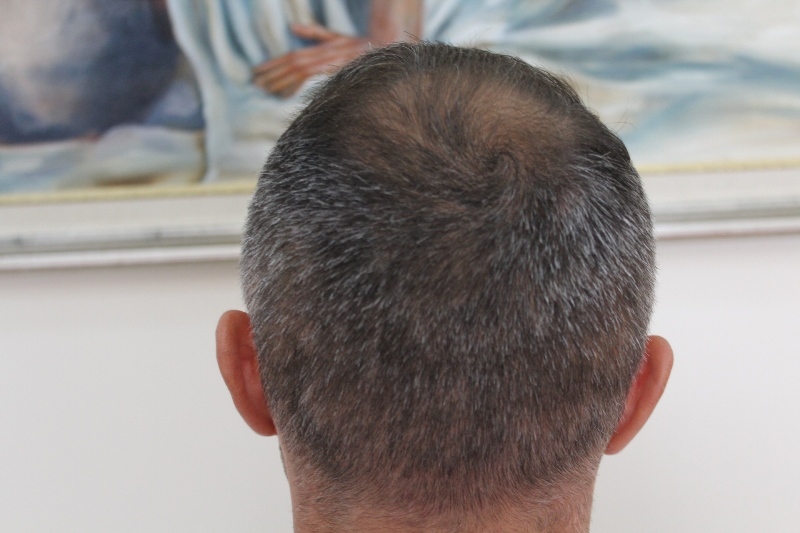 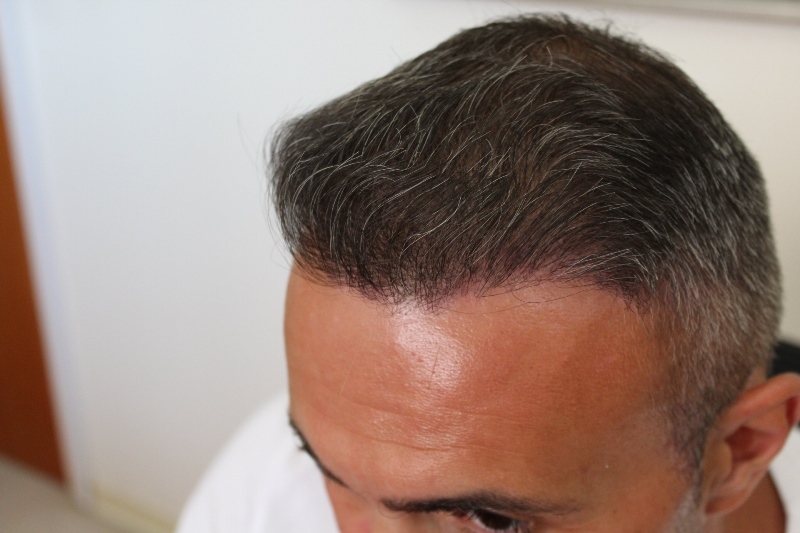 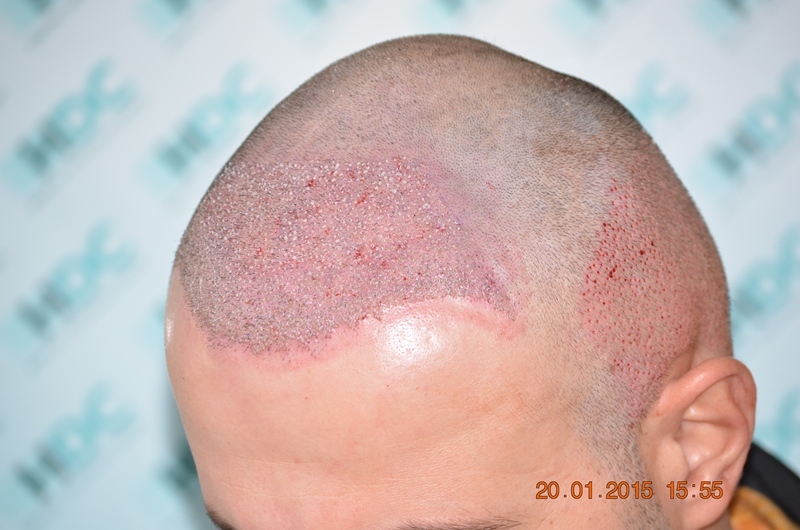 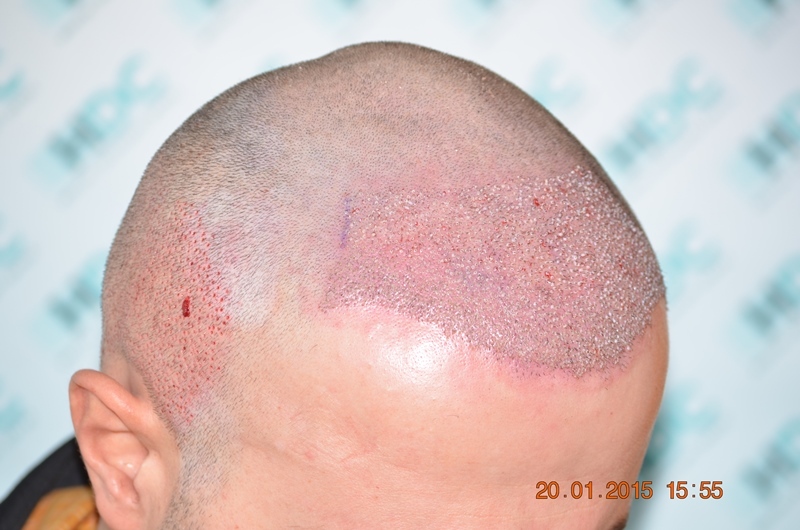 This patient was 33 years old when he had his Hair Transplant with HDC. 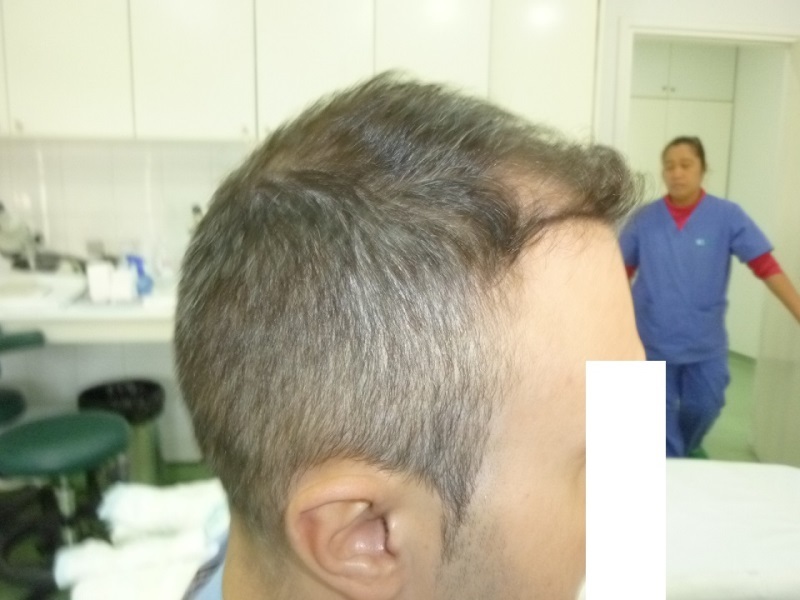 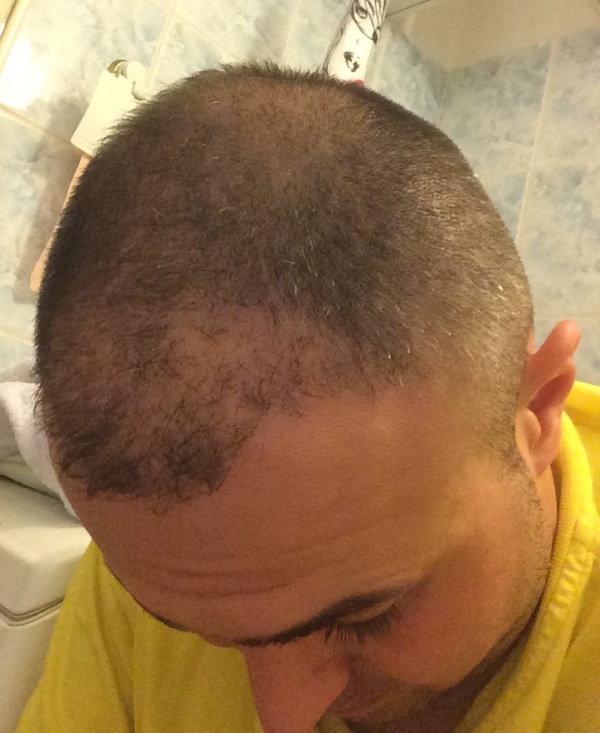 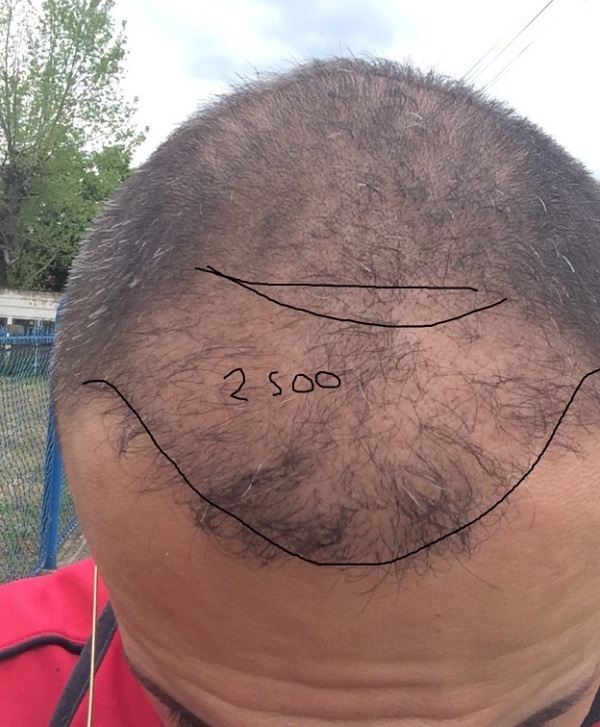 He had an unsuccessful FUE in Turkey for about 2500 grafts and you can see this result in the before photos. 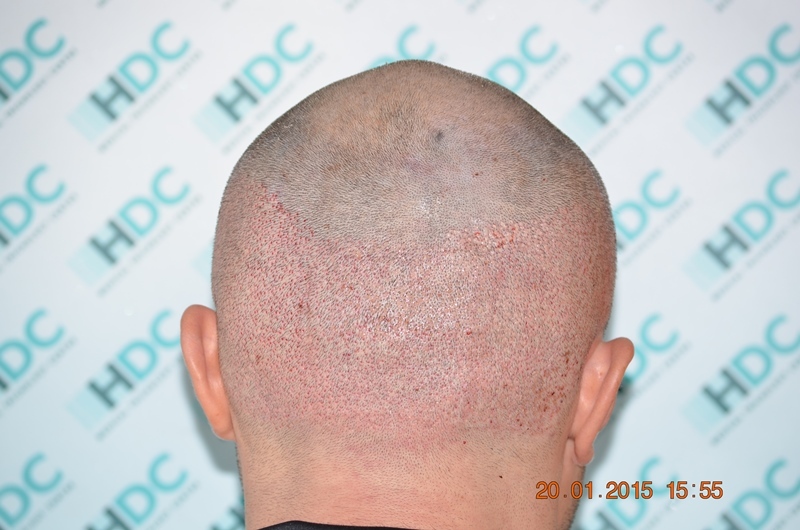 Then he started looking for reliable clinics in Europe and he ended to have his surgery to HDC. 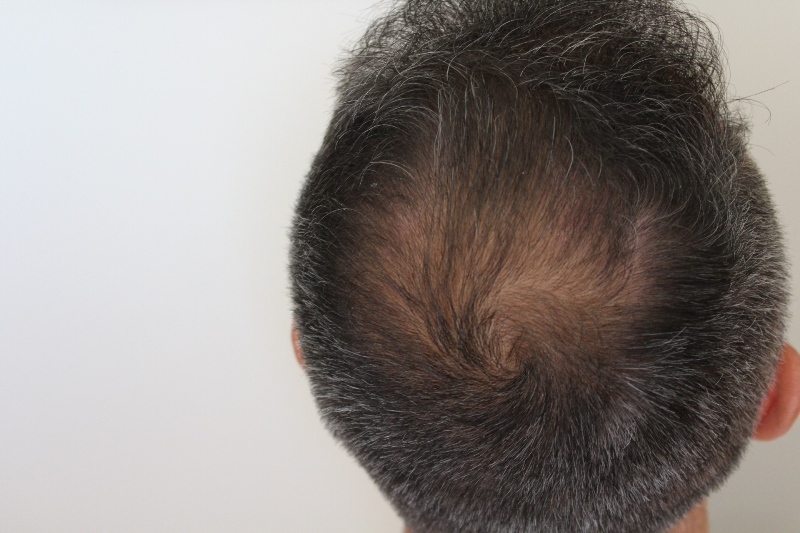 One of his main concerns was the management of his donor as he had already sacrificed about 2500 grafts, without any result. 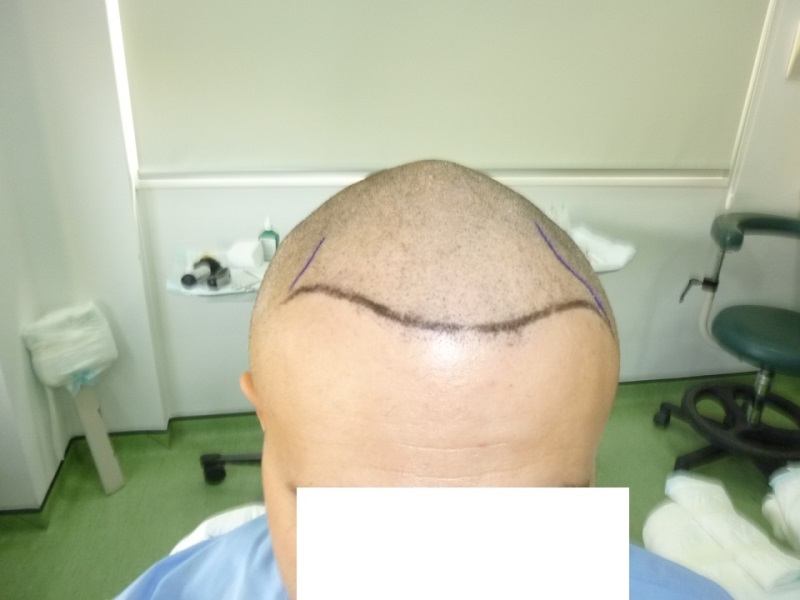 So, we covered the area with only 2400 grafts due to the fact that this patient is a potential class 5, in order to save donor for future needs. 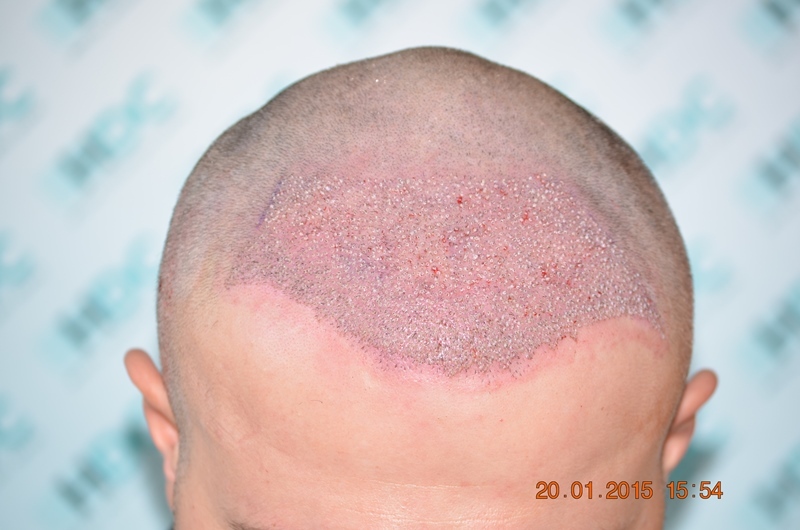 He visited the clinic 3.5 years later to arrange his surgery for the crown. 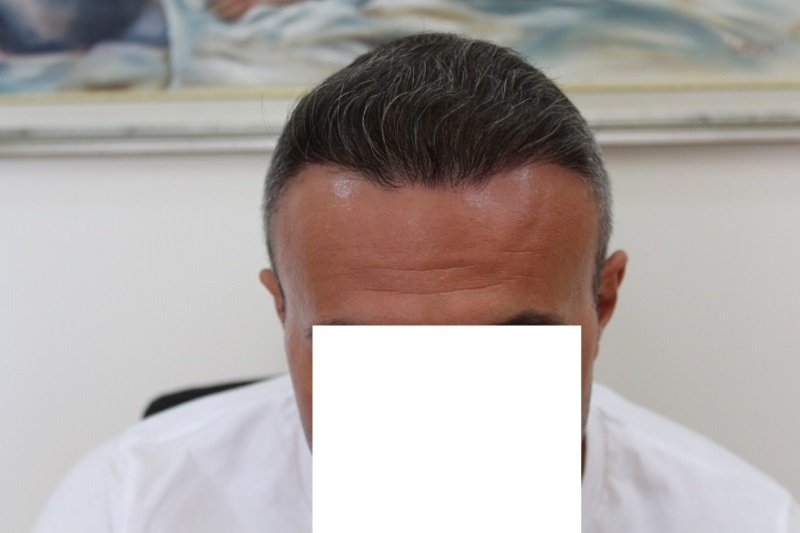 He wanted to see if there is more donor to cover the crown and for when to proceed. 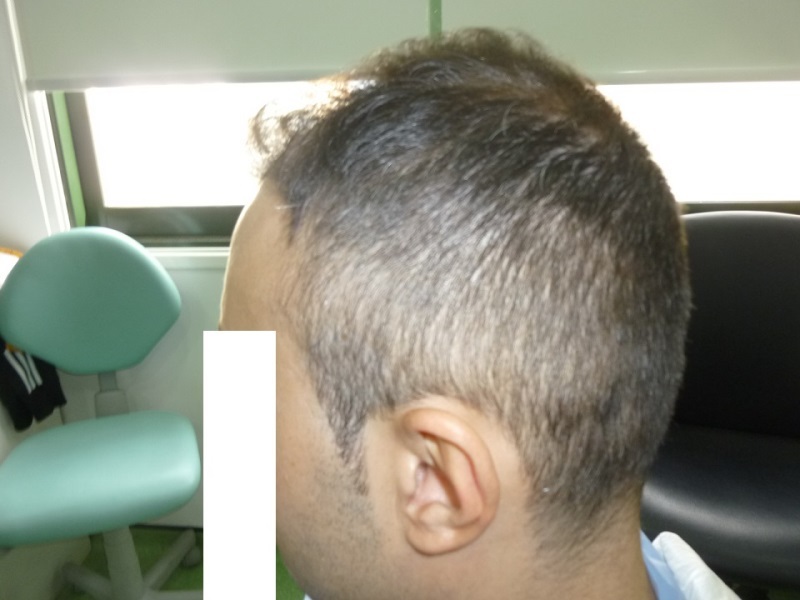 This is when we captured his result. 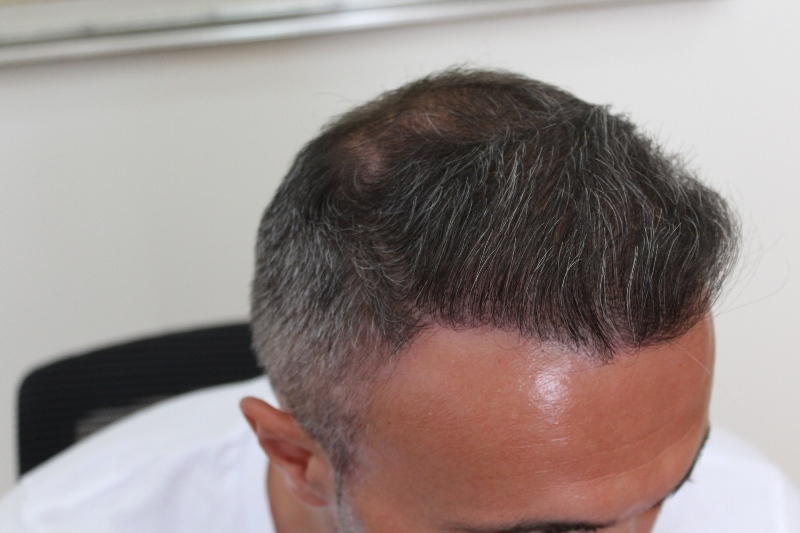 Due to the good management of his donor we expect to be able to harvest another 2000 grafts for the crown in the future.